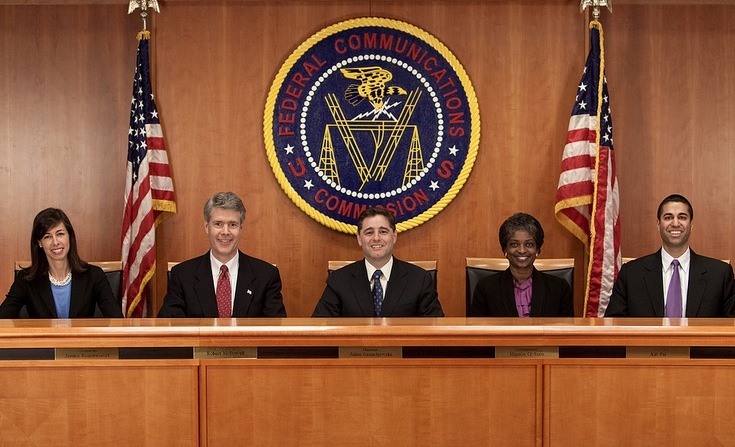 The FCC is proposing to make available 100 megahertz of shared spectrum in the 3.5 GHz Band (3550-3650 MHz) for small cell deployments. The first tier, Incumbent Access, would include authorized federal users and grandfathered fixed satellite service licensees. These incumbents would be afforded protection from all other users in the 3.5 GHz Band. The second tier, Protected Access, would include critical use facilities, such as hospitals, utilities, government facilities, and public safety entities that would be afforded quality-assured access to a portion of the 3.5 GHz Band in certain designated locations. 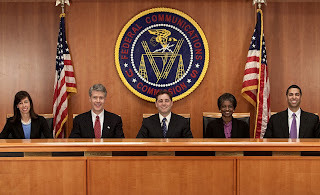 The third tier, General Authorized Access, would include all other users – including the general public – that would have the ability to operate in the 3.5 GHz Band subject to protections for Incumbent Access and Protected Access users. A spectrum access system, incorporating a geo-location enabled dynamic database, would govern access to the 3.5 GHz Band. report this summer recommending spectrum sharing and small cell use in the 3.5 GHz Band. U.S. federal policy should shift in favor "Shared-Use Spectrum Superhighways" instead the current plan which is to first clear federal users from specific bands and then auction this spectrum for the exclusive use of the highest bidder, according to a new report issued by the President’s Council of Advisors on Science and Technology (PCAST). 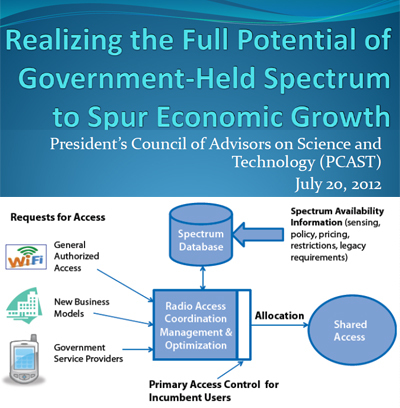 The report identifies 1,000 MHz of federal spectrum for sharing with the private sector. The New Spectrum Superhighway plan (1) divides spectrum into substantial blocks with common characteristics (2) makes sharing by Federal users with commercial users the norm (3) measures spectrum effectiveness using a new metric (4) increases capacity by "1,000’s of times." The 192 page report is posted online. Cloud Velocity, a start-up based in Santa Clara, California, emerged from stealth mode and unveiled its Hybrid Cloud Automation Platform for helping enterprises to rapidly migrate applications to public clouds by automating the underlying system and network dependencies. The mission of the company is to provide the software tools needed to seamlessly clone applications from an enterprise data centers to a public cloud either for scalability and cost savings or for failover to the cloud in the event of a primary data center outage. Applications can run without modification in the cloud and continue to access services that reside in the enterprise data center. The company has demonstrated full server, networking, security and storage integration with AWS, a key enterprise requirement for complex, multi-tier applications in any cloud. 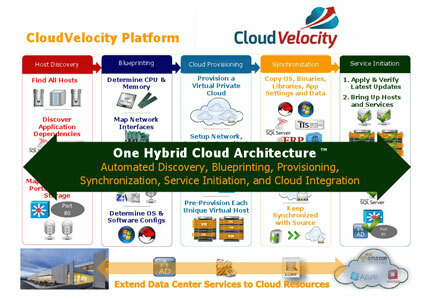 CloudVelocity plans to integrate other public clouds in 2013. Cloud Velocity has now opened beta trials to its Developer Edition cloud cloning software, which allows users to quickly and safely clone multi-tier app clusters and services, without modification into the Amazon Web Services (AWS) EC2 cloud. The company is also offering an Enterprise Edition beta trial that enables users to clone, migrate and failover multitier apps and services into the AWS EC2 cloud. CloudVelocity, which was previously known as Denali Systems while in stealth mode, recently closed $5 million in Series A funding from Mayfield Fund. The company's co-founders include Rajeev Chawla (formerly CEO of NeoPath Networks, which was acquired by Cisco), Anand Iyengar (formerly CTO at NeoPath), Panor Tsirigotis (formerly Chief Software Architect at NeoPath), and Raman Chawla (formerly Senior Director of Engineering at NeoPath). The U.S. Department of Energy’s (DOE) Energy Sciences Network (ESnet) has activated 100 Gigabit Ethernet (GbE) services on the Long Island MAN portion of its network. ESnet will offer 100GbE services from DOE’s Brookhaven National Laboratory to data centers in Manhattan and back onto ESnet’s nationwide network. 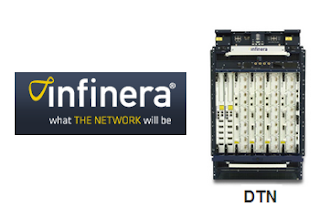 ESnet is using Infinera's DTN platform. ESnet first deployed the Infinera DTN platform for an advanced network testbed, and then leveraged the platform to provide production network services over the dark fiber ring in Long Island. Brookhaven National Laboratory is one of two facilities in the U.S. making data from the Large Hadron Collider’s ATLAS experiment available to the 44 U.S. institutions participating in the ATLAS project. In November, Infinera and the U.S. Department of Energy's (DOE) Energy Sciences Network (ESnet) demonstrated a prototype Software Defined Network (SDN) Open Transport Switch (OTS) capable of dynamically controlling bandwidth services at the optical layer via an extensions to the OpenFlow protocol. The idea is to provide a lightweight virtual transport switch on optical transport systems with an interface to an SDN Controller. The proof-of-concept demonstration, which used ESnet's Long Island Metropolitan Area Network (LIMAN) control plane test bed, tested a prototype of the OTS running on the Infinera DTN platform, allowing ESnet’s optical transport network to be configured by an SDN controller via the OpenFlow protocol. 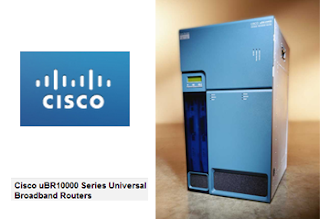 Cisco is building its Converged Cable Access Platform (CCAP) architecture with a new high-density line card and a new high-performance processing engine for its flagship Cisco uBR10012 Universal Broadband Router (uBR10K) and Cisco Cable Modem Termination System. CCAP is a new cable access architecture backed by CableLabs that combines the functions of two key technologies: the cable modem termination system (powers DOCSIS and other high-speed broadband services) and edge QAM (powers video services). Combining the two functions helps service providers reduce rack space, save power, and accelerate the transition to an all-IP network that can simplify the delivery of video content to multiple screens. Cisco's new Performance Routing Engine (PRE5) and 3 Gigabit Shared Port Adapter (3GSPA) effectively double the number of downstream channels available for the uBR10K, from a total of 576 to 1,152, without needing any additional rack space. 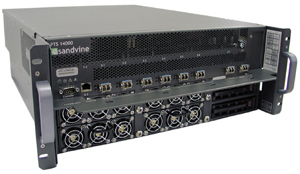 The PRE5 quadruples the chassis capacity to 40+ Gbps. Up to eight 3GSPA line cards can be used per Cisco uBR10K CMTS. Each 3GSPA card can support up to 72 downstream licenses per port. Cisco said its new modules will allow cable service providers to make better use of their existing platform, while adopting an incremental deployment approach to using more ports, with a pay-as-you-grow business model. Trials are expected to begin in Q1 2013. Vitesse Semiconductor and Microsemi Corp. introduced a reference design for implementing IEEE 1588v2 synchronization and timing in packet-based networks. The reference design uses Vitesse's Serval VSC7418 Carrier Ethernet Switch Engine with VeriTime 1588 technology and Microsemi's ZL30343 SyncE/IEEE1588 packet synchronizer (DPLL) and clock recovery algorithm. The reference design meets the performance demands for timing synchronization in accordance with ITU-T Recommendation G.8262/G.8261 for wireless base stations, radio network controllers, gateways, aggregation and transmission equipment, and routers while reducing design complexity. 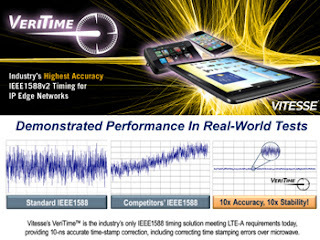 "Our jointly developed reference design allows broadband service providers to simplify the implementation of 1588 synchronization and timing technology and streamline the transition to IP Edge networks," said Maamoun Seido, vice president for timing products at Microsemi. "Demand for precise timing and synchronization solutions is growing and we will continue to collaborate with industry leaders such as Vitesse to deliver industry-standard 1588 solutions to meet this need." "This reference design provides our customers with a proven path to add precision timing needed for carrier access and backhaul networks," said Uday Mudoi, product marketing director at Vitesse. "Vitesse's VeriTime portfolio delivers nanosecond accurate time-stamping for both microwave and fiber networks, which when combined with the Microsemi DPLL and clock recovery algorithm, helps OEMs expedite upgrades to meet 4G/LTE network timing requirements." 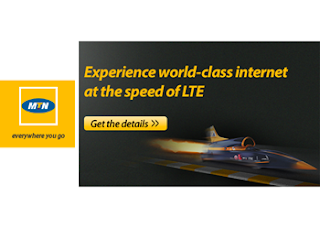 MTN South Africa has launched its commercial LTE network following more than a year of pilot activity. The carrier is currently offering an LTE version of the Samsung Galaxy Tab 8.9″ with a 2GB data allowance for R799.00 (US$92) per month with a 12 month contract. Coverage is initially available in certain areas of Pretoria , Johannesburg and Durban. Ericsson has supplied its RBS 6000 family of base stations, the Evolved Packet Core, Home Subscriber Server (HSS) for user data management, Operating Support Systems (OSS), project management and services. Ericsson noted that this marks its first LTE network in Africa. The company currently has over 90 commercial LTE contracts on six continents, of which over 50 networks have already gone live. More than 455 million people worldwide have LTE coverage, of which 305 million are covered by LTE networks supplied by Ericsson (July 2012). AT&T has selected Giesecke & Devrient's AirOn technology to manage subscription credentials on embedded M2M SIMs over-the-air. This will enable AT&T to provide manufacturers of connected consumer and machine-to machine (M2M) devices with seamless access to a global platform for service management, application development, professional services and product support. "With the introduction of our new single worldwide SIM solution and the ability to provision over the air, we're giving our device makers the convenience of coverage around the globe, while also enabling enhanced global services like local telecom," said Chris Penrose, senior vice president, emerging devices, AT&T. 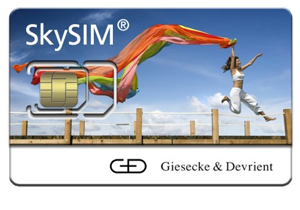 "We're seeing a trend towards integrating SIM cards at an earlier point in the value chain, when mobile devices are produced," said Dr. Klaus Vedder, Giesecke & Devrient's Group Senior Vice President. "By utilizing AirOn technology in its single SIM offering, AT&T will be able to supply customers with the service flexibility they demand." Procera Networks announced a follow-on $1.3 million order from a Tier 1 multi-system operator (MSO) in Western Europe. This operator serves broadband subscribers across its countrywide footprint as part of its residential triple play service offerings. This cable operator first installed Procera PacketLogic 10000 platforms in 2008 and with this order, is upgrading to the PacketLogic 20000 to take advantage of its throughput capacity, massive scalability and high availability features. Procera expects to recognize the majority of revenue from this order in the fourth quarter of 2012, and the first quarter of 2013. Sandvine has received Network Policy Control orders from two Western European mobile operators totaling over $4.5 million. The orders expand existing Sandvine deployments that enable “bill shock” notification and differentiated subscriber services. The customers are part of a multinational operator group with properties in Europe and Latin America. The company expects to recognize the majority of related revenues in the first half of 2013. TeliaSonera raised US$525 million (approximately SEK 3.5 billion) in proceeds from the sale of 50 million shares in Kcell, the leading provider of mobile communications services in Kazakhstan. Following the offering, TeliaSonera will directly and indirectly hold an interest of 61.9 percent in Kcell. Kcell priced its share offering at USD 10.50 per GDR and KZT 1,578.68 per common share and that trading will on Thursday. Based on the offer price, Kcell’s market capitalization is approximately USD 2.1 billion at listing. "We are very pleased by the positive response from both Kazakh and international investors to the opportunity of investing in Kcell. In a short period of time, and in a relatively tough stock market, we have managed to successfully complete two IPOs. This increases the value of our stakes in both MegaFon and Kcell, which continues to be one of our most valuable subsidiaries and a strategic asset”, says Lars Nyberg, President and CEO, TeliaSonera.